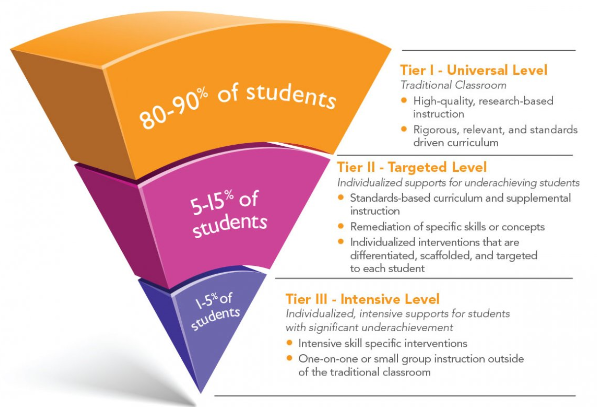 Response to Intervention, more commonly known as RtI, is a method of academic intervention to provide students that are struggling with an immediate plan of action to succeed. RTI focuses on early intervention, frequent progress monitoring, and continuously evaluated research based methods of instruction. Wisconsin's RtI Center A collaborative effort between Wisconsin's CESAs and DPI, the site provides information for educators, administrators, and families. Wikipedia Article on Response to Intervention Provides a nice overview of what RtI is in a broad context. Check out the "Notes and references" at the bottom of the page for more great sources.